Our Furniture Division is offering a Sales Assistant Learnership to individuals with no previous working experience, as we are committed to the development of South Africa’s youth. This is an outstanding opportunity to join Africa’s biggest retailer, be trained, upskilled and obtain a formal qualification. Learners that successfully complete the Learnership will obtain an NQF Level 3 qualification, in selling, in a retail environment. The Learnership is a structured learning programme that is combined with practical work experience over a 12 month period. This Learnership will enable learners to understand and operate in a retail environment, identify customer needs, drive sales and deliver outstanding customer service. 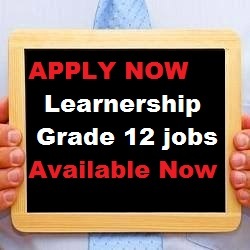 During the learning period of 12 months, the learner will earn a stipend of R 2,500 per month.